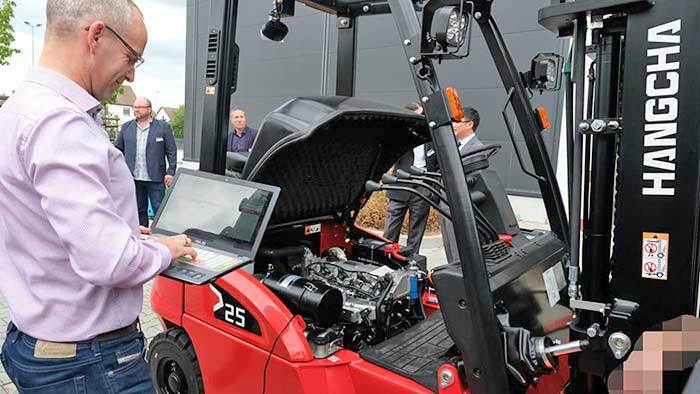 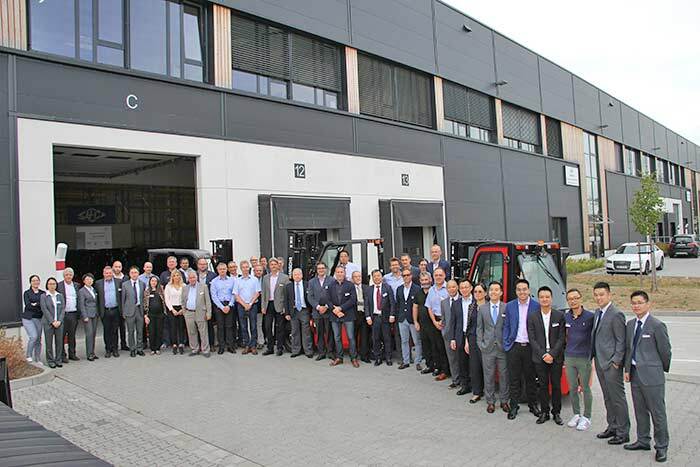 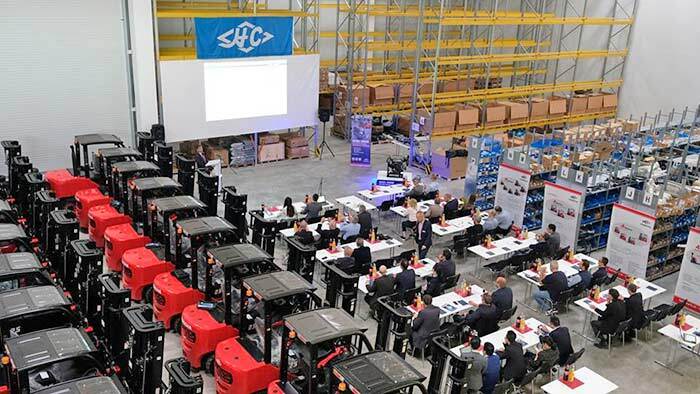 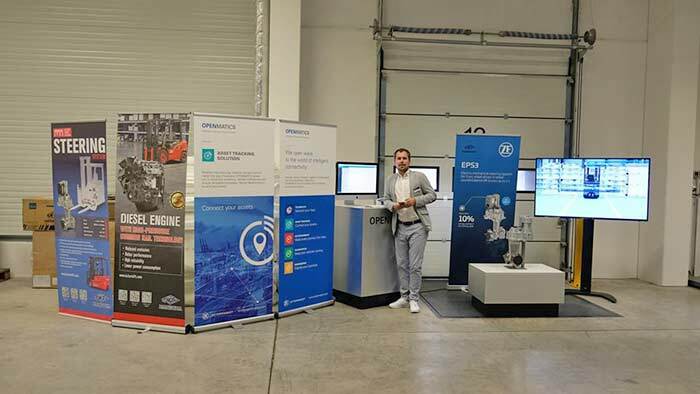 2018 Hangcha New Product Launching conference was held in Hangcha Europe GmbH, Frankfurt, on Sep. 21st, Hangcha dealers, Germany ZF team, Hangcha research and development team attended this conference. 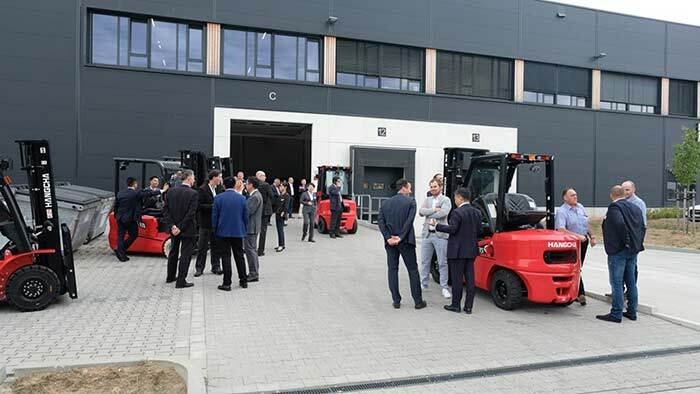 X series truck with High-pressure common rail technology engine and A series 3 wheel truck with ZF EPS3 (electrical power steering system) are officially launched in the overseas market. 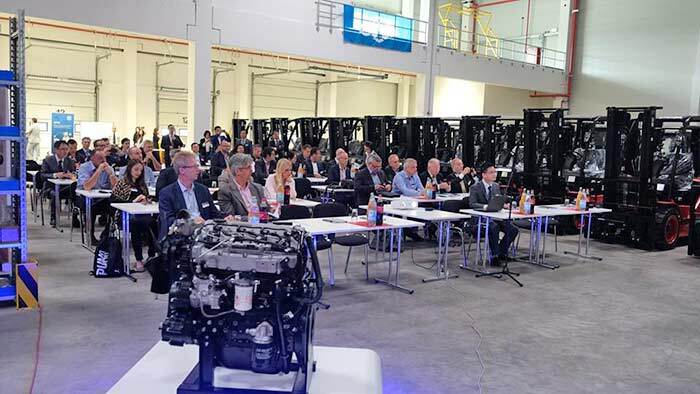 In the conference, there are X series truck presentation, Introduction about High-pressure common rail technology engine, introduction for ZF steering axle with EPS, introduction of HC- online shop with spare parts.